Republicans are downright angry that the White House, apparently without much warning, decided to circumvent Congress and critics who were gearing up for a high-profile fight over Berwick’s past statements. Maybe the Administration didn’t have the stomach for another partisan health care reform battle. Maybe it didn’t feel confident in its ability to defend Don Berwick’s contention that rationing should not be the boogeyman of health care policy. Maybe vulnerable Congressional Democrats successfully lobbied for a recess appointment, eager to avoid a contentious confirmation hearing that would bring health care reform to the fore just ahead of this fall’s election. Most likely, it was all of these things. In other words, it’s abundantly clear what motivated the White House to install Berwick via a recess appointment. But why do so less than three months after he was officially nominated? It’s not as if this is the only congressional recess on the calendar. CMS has been without a permanent head since 2006 and Berwick’s name has been bouncing around as a leading candidate for more than a year. And how hampered will Berwick be in his job because of the means by which he got it? But conservatives are making a serious mistake by forcing the administration to rely on a recess appointment for Berwick. Ultimately, what weakens Berwick weakens them, as Berwick, whether they know it or not, is one of the best friends they could have in the administration. That’s because insofar as Berwick is a radical, he’s a radical in favor of a patient-centered health-care system — a position that has traditionally been associated with conservatives, not liberals. This has escaped notice because political activists don’t pay much attention to questions of delivery-system reform. Of the three legs that balance the health-care reform stool — cost, access and quality — cost and access have traditionally been at the forefront of the issue, and are both politically polarized topics. Quality, however, is a demilitarized zone: Conservatives aren’t for high rates of post-operative infections, and neither are liberals. More than any other individual in the country, it’s been Berwick who has pushed to see quality occupy roughly equal billing with cost and access. His organization, the Institute for Healthcare Improvement, is principally known for gathering health-care providers and distributing information on how to do things such as “reduce Methicillin-resistant staphylococcus aureus (MRSA) infection.” This involves a lot of information on proper hand hygiene. It’s not a terribly ideological crusade. Which is not to deny that Berwick himself is an ideological guy. He admits he’s an “extremist,” actually. The shame for him is that his manifesto — “What ‘Patient-Centered’ Should Mean: Confessions of an Extremist” — is behind the paywall at Health Affairs. Conservatives who can find themselves a password, however, will find much to like. Looks to me like the Senate went out for an intrasession recess on July 1 and will reconvene on July 12. That’s 11 days under the counting method employed by the Justice Department. While it’s on the aggressive end because it’s relatively short, there certainly are a number of precedents for recess appointments during intrasession recesses of that duration–including, if memory serves, President George W. Bush’s recess appointment of Judge Pryor to the Eleventh Circuit. President Clinton made one recess appointment during a 10-day recess, one during an 11-day recess, and 16 appointments during a 12-day recess. I believe that President George H.W. Bush made one recess appointment during a 13-day recess (although the shortest one I can find at this late hour is 17 days). See the government’s brief in opposition in Miller v. United States (especially pp. 26–27 n.5) and its opp. in Franklin v. United States (pp. 29–30) for more. It is certainly not without controversy, however; Attorney General Daugherty said in dicta in one opinion that an adjournment for “5 or even 10 days” would be too brief to constitute a recess for purposes of using the Recess Appointments Clause. But the Executive Branch (unsurprisingly) has been walking away from the Daugherty opinion pretty much ever since. And that is to say nothing about the considerable academic writing on the subject, much of which has been critical of intrasession recess appointments. See, e.g., Michael Rappaport, The Original Meaning of the Recess Appointments Clause, 52 UCLA L. Rev. 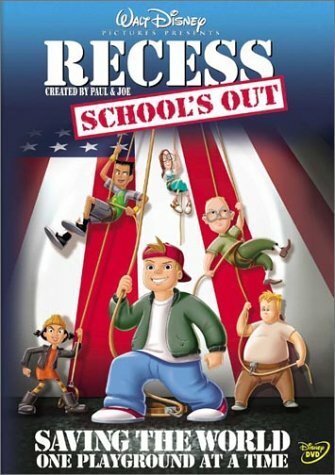 1487, 1487, 1562 (2005) (stating that “one-month recesses seem too short” but acknowledging that the “prevailing interpretation” of the Recess Appointments Clause “allows the President to make recess appointments . . . during intrasession recesses of ten days and perhaps of even shorter duration”). Many Republicans in Congress have made it clear in recent weeks that they were going to stall the nomination as long as they could, solely to score political points. But with the agency facing new responsibilities to protect seniors’ care under the Affordable Care Act, there’s no time to waste with Washington game-playing. That’s why tomorrow the President will use a recess appointment to put Dr. Berwick at the agency’s helm and provide strong leadership for the Medicare program without delay. But this analysis doesn’t pass the basic smell test. Obama could have announced his CMS appointment at any time after winning the election in November 2008 if it were so urgent, but he waited almost a year and a half — until April of this year — to name Berwick. Conveniently, this was after the health care law had already passed. Had he appointed Berwick during the health care debate, it would have exposed how much Obama’s ultimate vision for U.S. health care borrows from the British model. Senators have expressed concerns about statements like these, as well as Mr. Berwick’s background. He is a nominee with little management experience poised to head the second largest insurer on the planet, an agency with more funding to disperse than all but the top 15 economies in the world. In fact, the White House’s decision to make this recess appointment is as much a demonstration of their unwillingness to have any debate about Mr. Berwick’s views occur in the public eye as it is of their concern that some in their own party have privately questioned whether he is outside the mainstream. Such questions are of course appropriate. Thanks to the White House’s decision, they will not be answered. Understand: Mr. Berwick’s position as head of CMS will give him unprecedented power to apply his views on health care policy under President Obama’s new health care regime. Yet thanks to the White House’s game playing, he will not answer one question, not one, before he is ensconced in a position where his radical policy views will ultimately effect the lives and health care of every American. As we saw in the process of Obamacare’s passage, there is nothing – not precedent, not tradition, not even the most basic expectations of fairness or responsible governance – that will stop President Obama and his allies in their quest to remake American social policy in their image. A quick summary: Donald Berwick hates our healthcare system, wants to replace it with the monstrosity that the British have saddled themselves with, and the White House knows that a confirmation hearing would a: have all of that come out; and b: force a bunch of Democratic Senators to vote in his favor just before the midterm elections. You know, George W. Bush wasn’t afraid of a little controversy when he thought that the underlying issue was important enough. How does it feel to have voted for a coward for President, anyway? – I wouldn’t know; I’m a Republican.